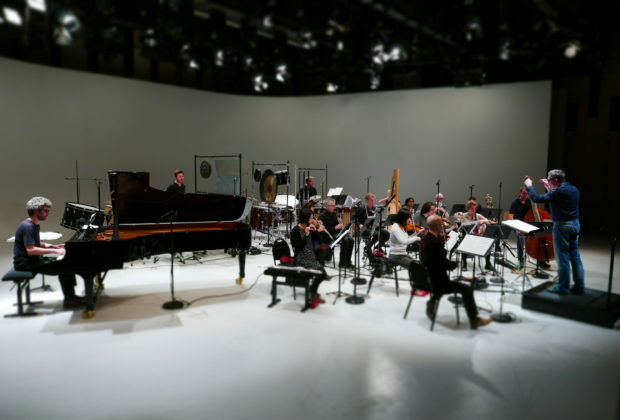 Ensemble Linea is an internationally renowned music ensemble founded in 1998 by pianist and conductor Jean-Philippe Wurtz. Linea has been regularly invited to play at music festivals and has notably performed in New York, Paris, Chicago, Seoul, Budapest, Brussels, Bilbao, Berlin, Hudderseld, Geneva, Lyon, Royaumont and Prague, among others. Its concerts have aired on radio channels such as France Musique, the BBC (United Kingdom) and the Südwestfunk (Germany). Linea encourages and supports young composers by commissioning new works, organizing composition and performance masterclasses as well as concerts. Its unique multicultural approach focuses on developing collaborations with ensembles from all parts of the world and exploring repertoires across continents. Linea has won the confidence of some of today’s leading contemporary composers right from its early years, resulting in promising and rich collaborations with Péter Eötvös, Brian Ferneyhough, Philippe Manoury and Helmut Lachenmann, among others. Since 2014, Linea has also set up its own summer academy of contemporary music in Strasbourg.